A lot of homeowners like planting trees around their home. Some plant them to give a beautiful look to their lawn, and some consider the trees to be useful. The act of planting a tree is technically demanding and how it is done affects the lifetime of the tree. 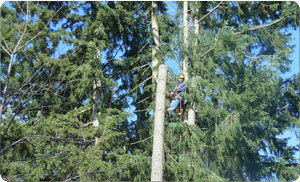 For better tree care, Puyallup residents should hire a professional who can do this for you in much better manner. But you must understand the fact that just planting a tree is not the only thing you must do to help it grow. Proper maintenance and attention is required for tree care. 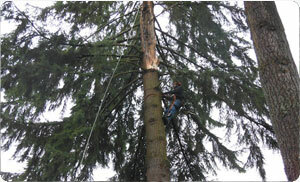 Puyallup residents can now find the finest tree care services by hiring Hunter's Tree Service. They offer the best tree care services and an expert team available 24/7. Nowadays with the internet, you can find many different kinds of tree care services depending upon the company and the location. However, there are certain tree services that many people do not realize that they need, such as regular tree trimming. But now because of Hunter's Tree Service, people have realized the importance of proper tree care. 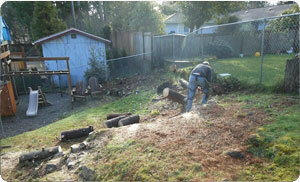 Puyallup residents can make sure that their young trees grow healthy with proper care and attention. There is a very low chance that trees might fall on property or people. However, if they fall on utility lines, there can be tremendous damage. This is why it is essential to keep the trees healthy with tree trimming service. Puyallup residents must understand the severe impact unhealthy or damaged trees can cause when they fall down. Fallen trees can cause electrical short circuiting, power outages and fire. Trees with dead branches close to utility lines can be very harmful. In such cases, immediately contact a tree removal company for tree service. Puyallup residents can call the team of professionals with right tools, experience and necessary insurance to get the job done. Along with mature trees form an important part of your landscape. To avoid these trees from becoming very large, they must periodically be cut back by tree trimming. Puyallup residents can contact Hunter's Tree Service to carry out tree trimming services for homes and commercial spaces. Tree trimming companies also provide tree maintenance services for proper tree care. Puyallup residents should notify the professionals when their trees become too large and need to be trimmed. For the best tree service, Puyallup residents can connect to us by simply calling 253-200-9977 to learn about the tree trimming and tree care services we can perform for you.